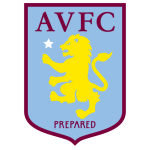 Aston Villa vs Stoke City predictions ahead of this clash in the Championship. Will the Villains continue their recent string of good results? Read on for our match preview and free betting tips. Stoke have managed to claw their way into the play-off picture, with Gary Rowett’s side beginning to pick up form. The Potters are into 10th place in the Championship, just two points shy of this weekend’s opponents Aston Villa. The pair find themselves on the edge of the top six, but both have the resources and talent to make a play-off push. This weekend’s game is going to be a major decider in their hopes of returning to the Premier League. Will Villa’s home form continue, or can the Potters spoil it? The hosts have continued their unbeaten run under Dean Smith, which has lifted them into eighth. However, they’re still four points shy of the top six. Villa are surely setting their sights on a play-off push in the coming months, after picking up their form. Recent results have shown that they’re more than a match for the sides in and around them. The Villains have won 3-0 at Derby and Middlesbrough, put five goals past Nottingham Forest and they were seconds away from a win at West Brom. Those are the four sides directly above them, so Villa are certainly contenders. That puts pressure on a Stoke side who haven’t been winning enough matches of late. While they’re unbeaten in eight matches, the visitors have only won two of their last six. They’ve been drawing too many matches, including a 2-2 away to Reading in their last trip. Despite that, they’ve been slowly climbing up the table. 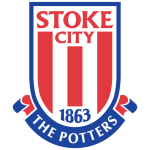 Now the Potters are emerging as a side who could sneak into the play-offs, will they add to their momentum in this trip? The visitors have got a strong scoring record backing them up, having found the net twice in their last four games. They are likely to go out and attack a Villa side who have shown themselves to be vulnerable in defence. After all, the hosts have shipped seven goals in their last two home matches, keeping a clean sheet in just 24% of their Championship games. While Stoke have seen both teams score in 70% of their away trips, Villa have seen it land in 71% of their league games. Everything here seems to be pointing to goals, with 60% of Villa’s home games and 60% of Stoke’s trips producing at least three. With that in mind, we’re going for over 2.5 goals as our main tip in this clash, along with a 2-2 draw. Since losing successive games at the end of October, Aston Villa have been unbeaten in their last six league games (W4 D2) – their best run since winning seven in a row in February. Stoke have drawn six of their 10 away games in the Championship this season (W2 L2); no team have recorded more stalemates on the road (level with Nottingham Forest). Jack Grealish has created 47 chances for his Aston Villa teammates so far this season – only Sheffield United’s Oliver Norwood has created more (52). Sam Clucas has been directly involved in four goals in his last three Championship appearances for Stoke (1 goals, 3 assists).